To handle the work you need to do in the bathroom and the kitchen requires a ton of supplies: shampoos, brushes, utensils, cleaners, etc. And all of this needs a place to stay. If you don't have enough room to fit it, you'll either have to forgo those necessary items or have to deal with cramming them in what space you have. So, as you remodel your kitchen and bathroom, you'll need to be sure to make room for your supplies. This means adding more cabinetry and tabletops, maybe even some wall-in shelving units. You'll find that this added space will go a long way toward providing convenience. In your kitchen and bathroom, you'll require a solid work area: some tabletop on which you can freshen up or prepare your meals (depending on the room you're in). So, it's important that you maintain durable and clean working areas in your kitchen and bathroom. 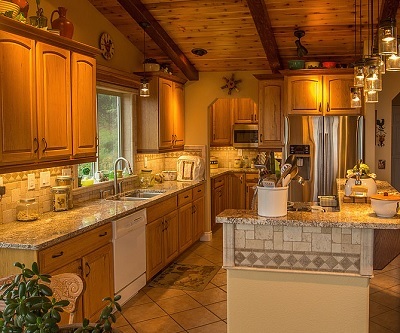 To get those working areas, be sure to give some thought to your countertops as you remodel your kitchen or bathroom. With the range of countertop options out there, you can find the one that suits your need for durability and sanitation, so don't overlook this feature when remodeling for convenience. In your bathroom and kitchen, visibility is key. You can't get yourself groomed or made up well at all if your bathroom lighting is dim. Likewise, you need to see well in your kitchen to be sure you're prepping your food correctly and safely. So, you'll want to really think about the lighting in your bathroom and kitchen during a remodel. Do you need more? Do you need the lighting you have moved around? Do you need more windows for natural lighting? You have a variety of ways to use the lighting in your home, so don't overlook it when getting a remodeling. 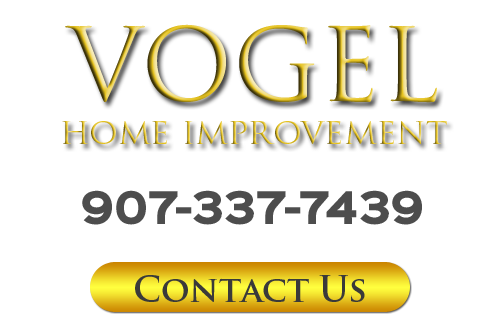 If you are interested in planning a project for kitchen remodeling in Anchorage, AK call Vogel Home Improvement at 907-337-7439 or complete my online request form.